Crochet Dish Towels make a lovely addition to your kitchen. They are fairly easy to work up as well. 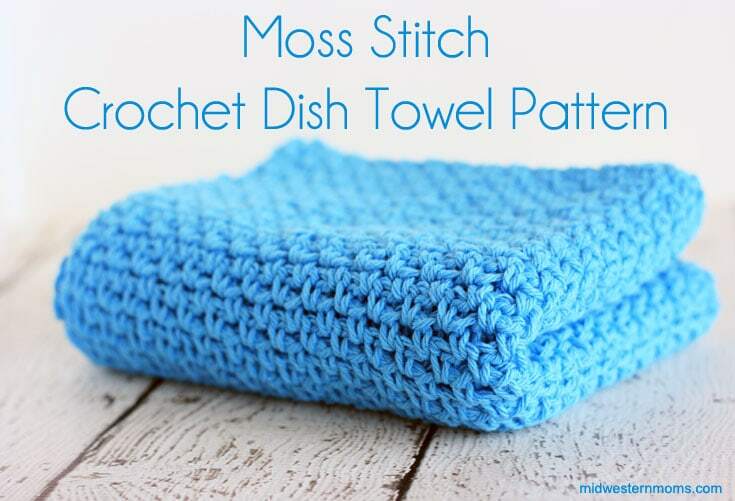 This Moss Stitch Crochet Dish Towel Pattern is easy and beautiful! I love how the Moss Stitch makes a nice neat design. After creating a Moss Stitch Crochet Dishcloth, I decided I needed a dish towel to go with it. I did not add a border to this towel. Feel free to create one if you like. I use 100% cotton yarn when making dish towel. Acrylic just doesn’t have the same absorbency that cotton does. 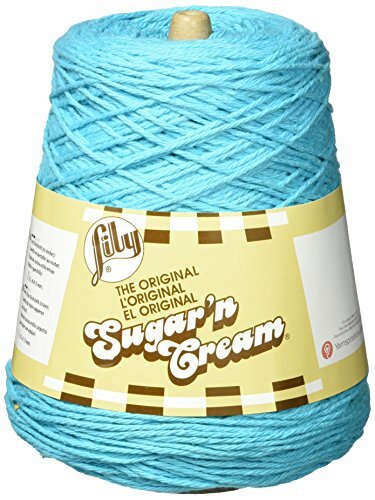 I also like to buy it in a cone to ensure that I have enough yarn for the towel. The extra can be used for dishcloths. The dimensions of this Moss Stitch Dish Towel is 15 inches wide and 23 inches long. If you modify this pattern, make sure your starting chain is an even number. Row 1: Chain 60. Single Crochet in the 4th chain from the hook, *chain 1, skip 1 chain, Single Crochet in the next chain*; repeat from * to *. Turn your work. Row 2: Chain 2. Single Crochet in the next chain-1 space, *ch 1, Single Crochet in the next chain-1 space*; repeat from * to *, end with a single crochet in the chain-3 space at the start of Row 1. Turn your work. Row 3 – 90: Chain 2. Single Crochet in the next chain-1 space, *chain 1, Single Crochet in the next chain-1 space*; repeat from * to *, ending with a Single Crochet in the chain-2 space at the start of the previous row. Turn your work. When you finish row 90, cut your yarn and weave in your ends. 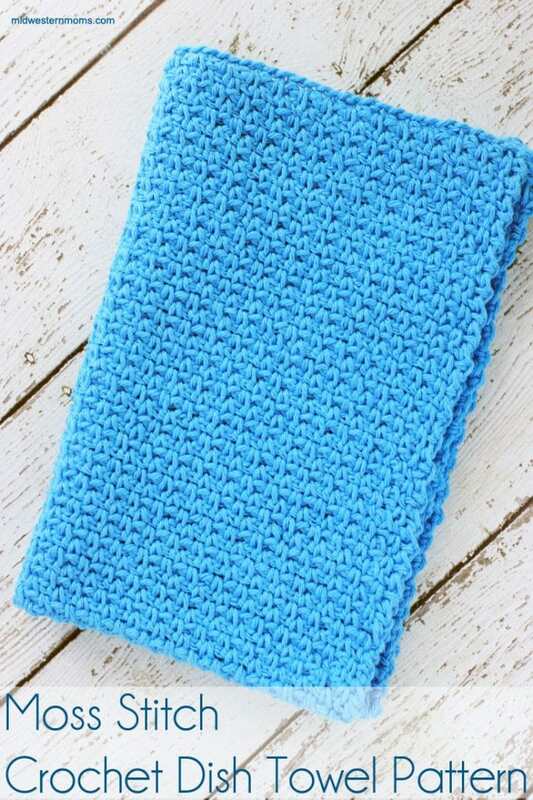 Don’t forget to pair this dish towel with a Moss Stitch Dishcloth! Enter your information in the form below to receive your free dish towel pattern. An email will be sent to you with the download. I am loving all of these patterns! Thanks so much for sharing all of these. Do you use worsted (#4) cotton or one of the finer “sport” cotton yarns? I’ve just purchased a bunch of the heavier cotton but was wondering if it was too heavy for dish towels. It is the Worsted Weight that I use. The #4. 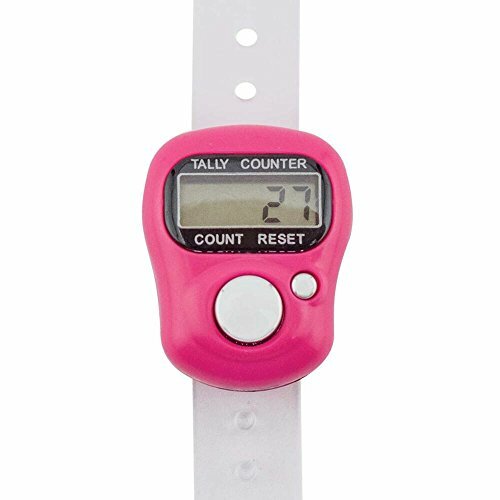 I would love to make this but I am not sure in the directions what the -1 means. you say single crochet in the next space and -1 can you help with this? It is the chain 1 space. It is hyphenated. So in the previous row, you single crocheted, then you chained one, then single crocheted again. The “chain-1” refers to that space.